We pack a lot into the 2 hours at our monthly breakfast network meetings, so it can help to know the format ahead of time and give yourself a strategy. Rehearse your 1 minute pitch as much as you can and in front of friends/family. Ask them for feedback and tweak it until you’re happy. Bring business cards – at least 30. Yes, it’s an early start but we get you set up for the day with great coffee and a nutritious breakfast. Once booked in, you will be handed your name badge and given a table number. Head over to the refreshment area for coffee, tea or freshly squeezed juice. It’s busy down there but don’t be daunted, just get stuck in and introduce yourself to a few people – they are all really nice, we promise! Everyone moves away from the refreshment area and now is the time to remind yourself which table you are on. You will also find a place card here with your name. If you haven’t already, introduce yourself to the people on your table. 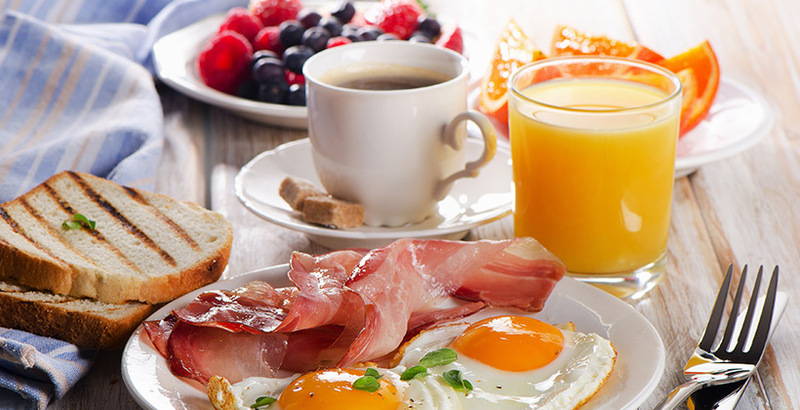 Each table in turn is called up for breakfast where you can choose from a delicious grilled English breakfast full of protein, and a healthy selection of yoghurts, cereals, grains, baked goods and fresh fruit. Your table ambassador will introduce themselves and remind you of the format for round table presentations. Each person is given 1 minute (or thereabouts) to tell the rest of their table who they are, what they do and why your business is the one they should use. A great way to highlight those points is through a story – e.g. a customer you helped recently. Keep it light, a bit of humour always helps as does rehearsing, but don’t worry – most people get nervous their first couple of times and everyone else there has been through the same. Pass round your business cards to the rest of the table. Here we select one of our Members (and on special occasion a Visitor) to give a presentation for a few minutes. At your seat you will find a playing card – the number of which will tell you your next table. Move your seat and start your introductions and round table presentations again with a whole set of new people. A second 2 minute presentation. Followed by a closing round-up of upcoming events, new Members, competitions etc.